A multi-centred randomised controlled trial to investigate the effects of adding web-based coaching (e-coachER) to an exercise referral scheme as a way to increase uptake and sustained health enhancing physical activity for patients with chronic physical and mental health conditions. 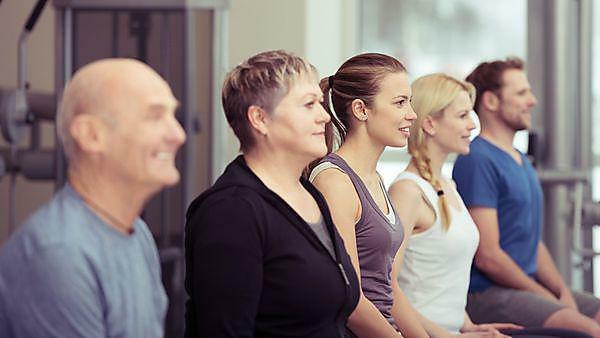 The GP exercise referral scheme (ERS) is an established method whereby doctors can ‘prescribe’ exercise to patients with medical conditions such as obesity, hypertension, type 2 diabetes, osteoarthritis or a history of depression or low mood. Evidence suggests that such exercise is beneficial, both physiologically and psychologically, but that rates of uptake and ongoing engagement by patients may not be optimised, with no long-term change in physical activity. HTA 13/25/20. Patients in primary care with a physical or mental health condition, and who are deemed suitable for ERS, have been recruited to a trial from South West England, the West Midlands and Glasgow. Patients receive ERS on its own, or with access to e-coachER using the Lifeguide platform, which has been extensively tested for supporting other patients in Southampton and around the world. The e-coachER group also receive technical support to ensure access to the internet and boost motivation and confidence to use the technology. NHS Research Ethics Committee approval was granted (15/NW/0347) on 11 May 2015. The ISRCTN number is 15644451. Extensive development, testing and piloting of e-coachER took place prior to the trial, with input from Professor Lucy Yardley’s LifeGuide web-support platform group at Southampton University and Professor Adrian Taylor’s group at Plymouth University, with other co-applicants and patient and public involvement. Difficulties were experienced with recruitment and a revised sample size calculation was considered and accepted, based on identifying differences in minutes of moderate and vigorous physical activity (MVPA), rather than differences in the proportion of participants achieving 150 mins of MVPA. The project started recruiting participants in Summer 2015 and ended in March 2017. Recruitment across the sites (South West England (Plymouth, Devon and Cornwall), Birmingham and Glasgow) has now closed with 450 participants being randomised to receive, on top of usual referral to an exercise scheme, either the e-coachER intervention or no access to the web-based support. The number recruited at each of the sites was very similar. It is hoped that, of those patients on an exercise referral scheme who receive the e-coachER support, the average number of minutes of MVPA will be significantly greater by 12 months, compared with usual exercise referral alone. This would provide an option for local services to support their patients to increase physical activity with a significant health gain. The project is also interested in identifying what participants feel about e-coachER, if it increases physical activity after 12 months, and what they thought were the main ways in which this support was useful to them. We expect the final participants in the study will complete assessments in April 2018, and the results will be available by Spring 2019. We would like to thank all those in the primary care teams, exercise referral schemes, our public and patient representatives, and the patients who have volunteered to be in the study who have enabled recruitment to be completed. This project is being led by the Faculty of Medicine and Dentistry and is managed by the Peninsula Clinical Trials Unit (PenCTU) (with collaborators from Exeter, Birmingham, Southampton, Brunel, Edinburgh, Marjon and the Royal Cornwall Hospital NHS Trust) and has received £900k of funding from the National Institute for Health Research Health Technology Assessment Programme (NIHR HTA), project number HTA 13/25/20.